Don’t Make Russia’s Anti-Kremlin Opposition Angry. You Wouldn’t Like It When It’s Angry. What started out as a playful response to an attack on Russian opposition leader Alexei Navalny quickly turned into an online protest on Monday. Navalny, a Kremlin critic whose Anti-Corruption Foundation has led investigations of some of Russia's most powerful politicians—including, most recently, Prime Minister Dmitry Medvedev—was sprayed with green antiseptic while on a campaign stop in the Siberian city of Barnaul on Monday morning. 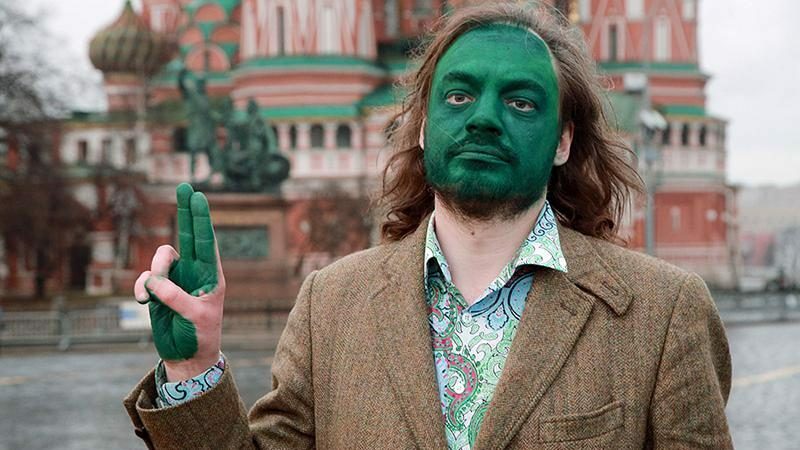 Shortly thereafter, Russian oppositioners began posting photos of themselves in green face paint on social media in solidarity. Within hours, Navalny's supporters began an online “flashmob,” posting photos of themselves covered in green face paint on social media. Vika Navalnaya, the wife of Navalny's brother Oleg, who was sentenced to three and a half years in prison for embezzlement in December 2014, posted a picture of her and her son in green face paint on Instagram. The wife and son of Oleg Navalny! Some supported Navalny using the #зеленыйНавальный (#GreenNavalny) hashtag. Nikolai Danilov. Source: Alexey Yushenkov, Facebook. They told me that they had had a respectful conversation with me, and I said that I also valued their opinion but that I had spent 40 minutes painting my face green. I comported myself absolutely normally, not shouting any slogans—I just wanted to take a few photos. In the end, we found a compromise—I returned to where I was picked up, and continued to take pictures. Navalny, who announced in December that he would challenge Vladimir Putin in the March 2018 presidential elections, has faced hurdles at every turn of his campaign. 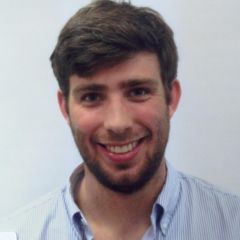 He was found guilty of embezzlement in December and was given a five-year suspended sentence, meaning that he is legally barred from running for office. In January, federal regulators pressured the PayPal-like service Yandex.Money into blocking political donations from individuals, thereby eliminating one of the Navalny campaign's most significant sources of funding. Navalny has also been the victim of physical attacks in the past: among other incidents, in February 2016, a protester threw a pie in Navalny's face, and one month later two unidentified men threw pies and condoms filled with a white liquid him. In May of last year, Navalny and his supporters were beaten up at an airport in Anapa, a city in southern Russia. And recently, Navalny's opponents in Ufa, Samara, Nizhny Novgorod, Kemerovo, and Novosibirsk have thrown eggs at him. 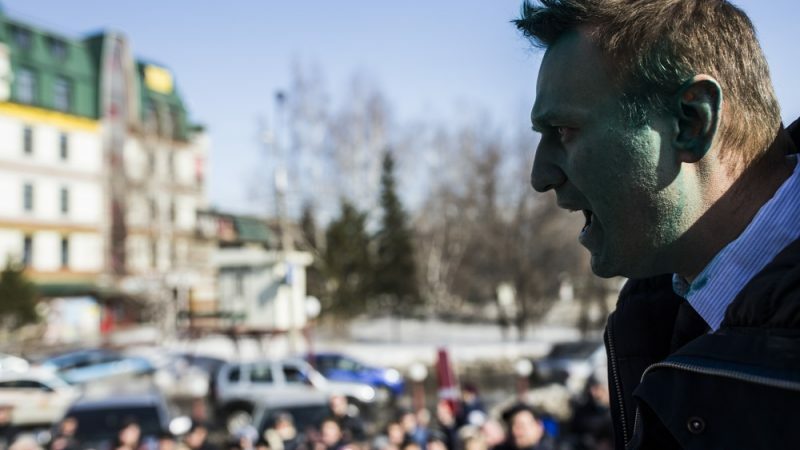 Navalny is not the only politician to have been doused in green: last month, an unidentified man used a syringe to shoot green dye in the eyes of opposition politician Mikhail Kasyanov. Novelist Lyudmila Ulitskaya and Igor Kaplyan, the head of Russia's Committee for the Prevention of Torture, have also been attacked with various green substances, though it's unclear if there is any meaning to the color green.